Something you can learn from Android OS is: You don't need to quit an app. You shouldn't use a task-killer (>2.1). The system is very efficient to handle idle tasks. 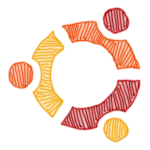 Canoncial Design's Matthew Paul Thomas, is seeing a future of Ubuntu without the "Quit" menu. After the first shock, I even begin to like the idea. Being an Android user, advocating against task-killers because they screw up your OS, it's kind of seducing to me. The big BUT is: Then you need a very good and fast working automatic task killing and caching system like Android has. Every system has limited resources. Depending on how many programs you start per session, they would all run in the background. Sooner or later at some point the system would be very slow, using all the resources and more energy. What has to be done is, imho, to have a mechanism that quits idle tasks, when more memory is needed, and leaving the non-idle processes untouched. Also, idle tasks, can be "cached processes". Like I said, the Android OS does an amazing job of doing this. Maybe that would be a good solution, and the end of the "Quit".